Useful information for the concerts of 16 July 2016 – Circo Massimo in Rome. 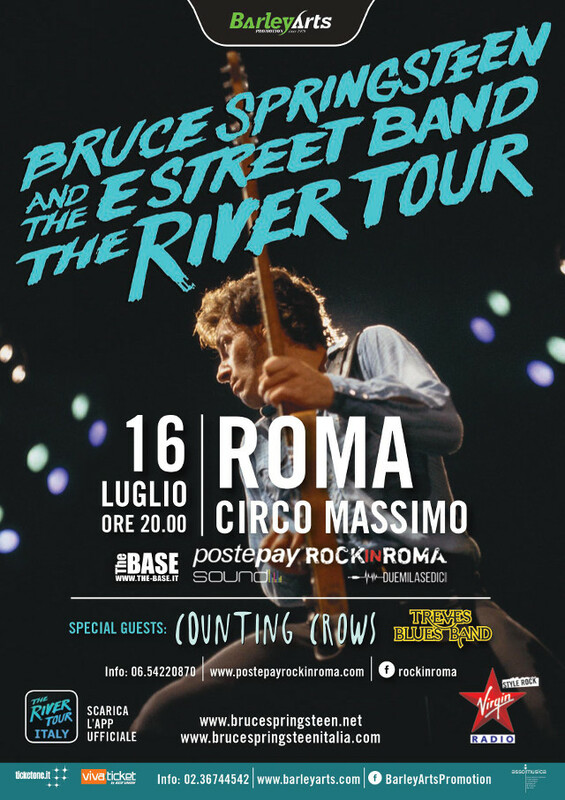 Una versione in lingua italiana della seguente guida è disponibile al seguente link: Guida Concerto Bruce Springsteen e The E Street Band – 16 Luglio Roma. Security checks will be made by the Authorities at the entrance to Circo Massimo. All people attending the concert are invited to arrive well in advance to the gates in order to guarantee the smooth running of such checks. The control staff is at your service, please be collaborative. Every person found lacking of the admission ticket would have to pay the price of the ticket again. Cameras, recorders, lasers and spray cans are not allowed inside the venue; transgressors will have those confiscated throughout the whole duration of the concert. The Italian law forbids the access with animals to public entertainment, so all animals are forbidden. Women in an advanced stage of pregnancy who may need or desire assistance should send an e-mail to [email protected] indicating month of pregnancy, mobile number and date of the concert. Children under 7 years of age do not have to pay for the admission to the concert. Be careful to the false merchandising, lower in quality; the official one is sold inside the Circo Massimo. 4 corners with the official merchandise available. TicketOne, Vivaticket, Postepaysound, Box Office Lazio, ETES and Booking Show are the only official ticketing circuits. Avoid the purchase of tickets from unauthorized sellers: these tickets may be false. All tickets will be controlled at the entrance with ticket scanners. All passes are strictly personal and not transferable, it may be asked in any moment to show an identity card for verification; the penalty is the cancellation or expulsion from the concert. s part of the audience, all tickets possessors agree and authorize any future use of possible audio, video, web and photo recordings that may be made. It is not allowed to introduce bottles, cans, alcohol, umbrellas, helmets, selfie sticks and any other blunt item inside the venue of the concert. In case of cancellation of the concert, the face value of the ticket will be refunded within and not later than ten working days after the date of the cancelled event, at the sales point where the ticket was purchased. The concert will take place even in case of bad weather, unless the adverse weather conditions make the event dangerous. There will be no type of refund if the concert takes place. The program and the timing of the concert may be subject to changes, without this leading to tickets refunds. The promoter of the concert declines any responsibility derived from improper behavior of the audience, which damages the enjoyment and visibility of the concert. The box office to pick up the press and photo passes and the free admissions will be open from 12.00am (CET Time) on July 16th. The disabled people who possess the dedicated ticket will have access to the private area positioned in via del Circo Massimo (next to Piazzale Ugo La Malfa). Please remember that the dedicated ticket allows the entrance both to the disabled person and to one companion. The entrance of the parking lot for the disabled people is in via delle Terme Deciane; the access is reserved to the people who already possess the dedicated ticket. There will be a play area dedicated to the children at the end of Circo Massimo. There will also be a family area next to the one dedicated to the disabled people, in via del Circo Massimo (next to Piazzale Ugo La Malfa). The gates to enter the Circo Massimo are 3. The first is in via di San Gregorio (via dei Cerchi corner) and it will open at 2.30pm CET Time. The opening of the other gates will follow: viale Aventino (near the Circo Massimo subway station); via della Greca. 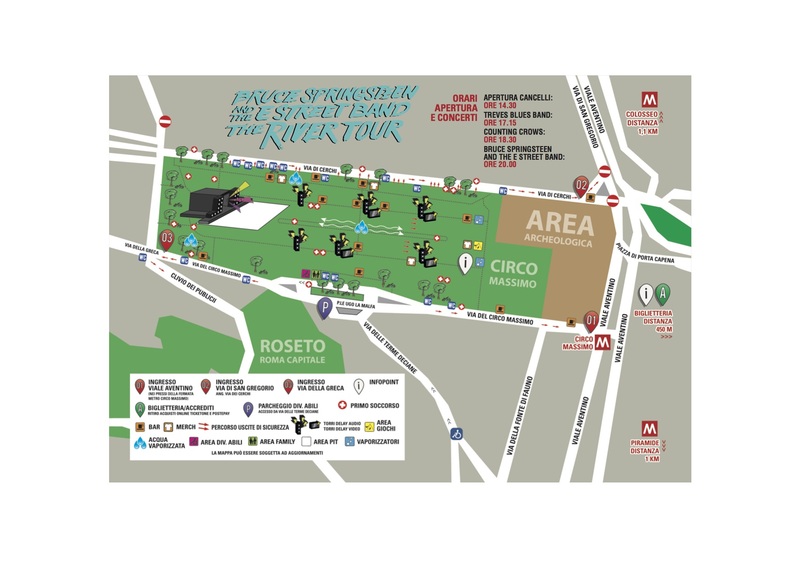 We invite the audience to leave the car at the exchange car parks and reach Circo Massimo by public transportation. The Atac exchange car parks offer the chance to leave the car with discounts for the long-term parking and continue through the central areas of the city with the municipal public transportation. All exchange car parks are located close to the subway line A, B and C stations, the suburban railway stations or at the terminals of urban and suburban busses. The exchange car parks can be automated or not automated; the payment and exemption methods are different depending on these categories. Suggested car parks near the subway line B: Laurentina (entrance in Via Francesco De Suppè), Magliana (entrance in Via di Val Fiorita), Parcheggio Ostiense Adiacente EUR Magliana (entrance in Via Ostiense), Partigiani (entrance in Piazzale Partigiani), Trieste (entrance in Via Chiana, 105), Nomentana (entrance in Via Val d&#39;Aosta), Jonio (entrance in Via Gran Paradiso). 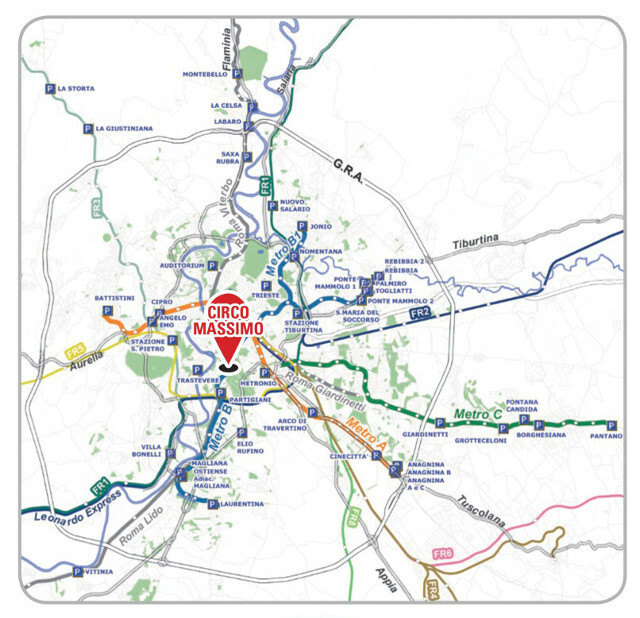 Suggested car parks near the subway line B1: Tiburtina (entrance in Via Pietro l&#39;Eremita), S. Maria Del Soccorso (entrance in Via di Pietralata), Ponte Mammolo 1 (entrance in Via delle Messi d&#39;Oro), Ponte Mammolo 2 (entrance through the ramp connection of Via Tiburtina – Viale Palmiro Togliatti), Palmiro Togliatti (entrance in Viale Palmiro Togliatti – Ponte Mammolo), Rebibbia 1 (entrance in Via Casal de&#39;Pazzi), Rebibbia 2 (entrance in Via Tiburtina, in front of the subway station). Suggested car parks near the subway line A: Battistini (entrance in Via Lucio II), Cipro (entrance in Via Angelo Emo), Arco di Travertino (entrance in Via dell´Arco di Travertino), Cinecittà entrance in Via Tuscolana, next to the subway station), Anagnina (entrance in Via Tuscolana), Anagnina A e C (ientrance in Via Vincenzo Giudice), Anagnina B (entrance in via Otello Stefanini). All concerts will provide a wide pit area to avoid the physical pressure on the first thousands of people standing infront of the stage. For defined, shared and usual choice, the Artist and Barley Arts won’t add any overprice that economically regulate the access of the people to the area, unlike legitimately established by other artists and promoters. The access to the pit does not require any payment over the purchasing of the regular admission ticket. The access will be allowed to who first arrive to the venue; no lottery or other selective system will be planned, except the classic “first-come, first-served”. The first 1500 persons in front of the entrance 2 in via dei Cerchi will receive a pit bracelet (one per person and non-transferable) about one hour before the gates opening, in the same order of the outside queue. These people will be then taken to the pit by the security staff. The pit bracelets left will be then available for the rest of the audience until exhaustion. We please invite the audience to be collaborative with the service staff, in order to guarantee equality, honesty, common sense, joy and smiles to live all together a great rock’n’roll day. Virgin Radio is the official radio of the Italian concerts of Bruce Springsteen and the E Street Band. The official website of the concerts is brucespringsteenitalia.com and it contains all the useful infos. The free official app Springsteen in Italy is available for iOS and Android platforms on their store. It contains all the information necessary to get to the concert, timetables, routes, etc. The closest subway station is Circo Massimo (Line B), but it will be closed from 9.00pm (CET Time) on July 16th to 5.30am (CET Time) on July 17th. From 1.30am (CET Time) to 5.30am (CET Time) on July 17th it will be possible to use the substitutive night busses N2, which substitute the subway line B, and N1, which substitute the subway line A.
Tram and busses operate everyday from 5.30am (CET Time) to 12.00am (CET Time). To get to Circo Massimo by bus, the closest terminals for urban busses are Termini, Piazza Venezia and Piazzale Ostiense. From Termini it is possible to get the subway line B until the stations of Colosseo (1,1km from Circo Massimo) or Piramide (1km from Circo Massimo), while from Piazza Venezia and Piazzale Ostiense it is possible to reach Circo Massimo by foot walking for about 1km. 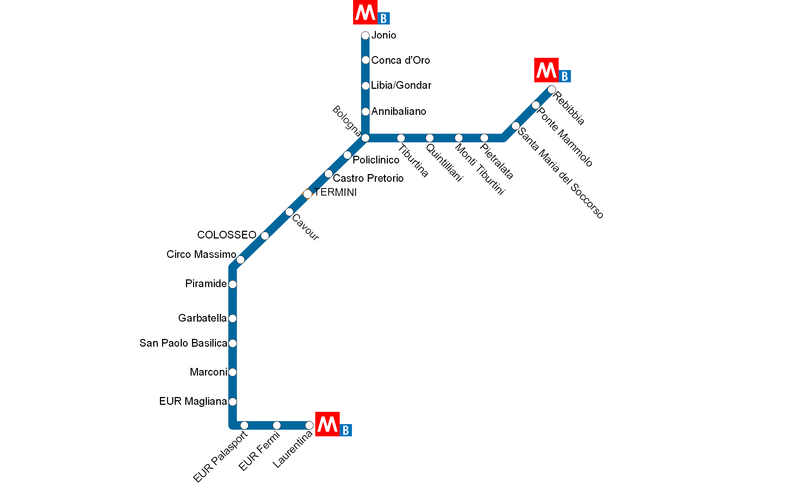 The terminal for suburban busses is Stazione Tiburtina, from which it is possible to take the subway line B until the Colosseo or Piramide stations. There will be various nebulization points and water cannons for the refreshment of the audience in case of excessive heat: one stable inside the Circo Massimo and some moving others.